Think you are stuck with inadequate broadband service because you can’t afford the high performance lines you need? Think again! Another thing that makes SD-WAN effective is that not all traffic is equally demanding. VoIP voice calls are extremely sensitive to latency and packet loss. Data file backups aren’t. Many cloud based business applications need high performance all the time. Some aren’t all that fussy. With that in mind, a SD-WAN controller can see what demands there are for service and what paths are available and with what instantaneous performances. 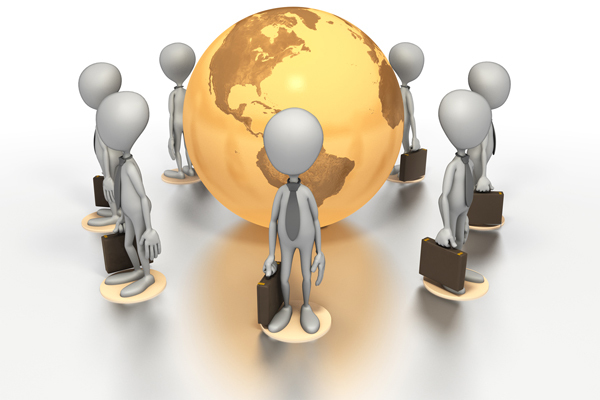 It can pick and choose where to route traffic for the most optimum use of the resources you have provided. You choice of SD-WAN links might include DSL, cable, T1 lines, satellite, 4G or 5G wireless, point to point microwave, Ethernet over Copper or Ethernet over Fiber, and even SONET fiber optic lines. The right mix depends on what performance you must have, what connections are available and your budget for bandwidth. 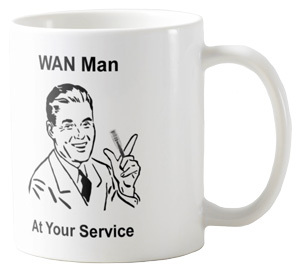 Note: Business products with the WAN Man theme are available through our Zazzle Gigapackets store.